Current Affairs News | What is the lowdown on railway safety? What is the lowdown on railway safety? Home > Blog > What is the lowdown on railway safety? 17 Nov What is the lowdown on railway safety? A string of derailments in the last couple of weeks has put the spotlight on rail safety. 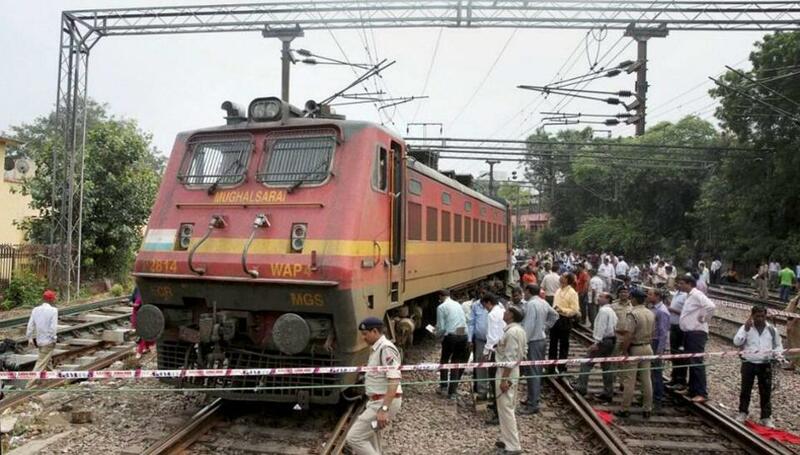 On August 19, thirteen coaches of the Haridwar-bound Puri-Haridwar-Utkal Express went off the tracks near the Khatauli railway station in Muzaffarnagar, Uttar Pradesh, claiming at least 21 lives and injuring more than 90. This was followed by the derailment of 10 coaches of the Kaifiyat Express in Auraiya district of Uttar Pradesh four days later, after it collided with a dumper, injuring around 100 passengers. This was followed by the collision of a train with a lorry at an unmanned level crossing in Tamil Nadu’s Villupuram region on the same day. Two carrying passengers and one goods — jumping off the tracks in Uttar Pradesh, New Delhi and Maharashtra within a span of nine hours on Thursday. Two more accidents were averted – one in Uttar Pradesh and the other in Mumbai when rail fracture was detected by the patrolling staff on Thursday. Although the total serious train accidents declined from 135 in 2014-15 to 104 in 2016-17, the derailments went up from 63 to 78 during the same period. The share of derailments in total accidents has soared from 46.7% in 2014-15 to 75% in 2016-17. Till August 20 this year, 85% of the total rail accidents happened due to derailments, raising the alarm among authorities. Unmanned level crossings and derailments due to track defects. According to official figures, track defects had the highest share of around 44% in train derailments between 2012-13 and 2016-17. Derailments can also happen because of the failure of wheel and other train components. In 2016-17, 61.5% of the accidents happened because of the failure of railway staff against 37.7% in 2012-13. The Utkal Express derailment highlighted severe neglect on the part of the local authorities — both maintenance and station teams — in reacting to a broken track. While the track defect was detected early in the day, the maintenance team temporarily joined the tracks while waiting for a nod from the station authorities to get block time to fix it. Soon, the Utkal Express arrived at a speed of 105 km per hour, ran over the track and derailed. In 2016-17, the total number of casualties in train accidents was at a two-year high of 238, mainly due to the derailment of the Indore-Rajendranagar Express near Kanpur, one of the worst accidents in over a decade, killing 152 passengers and injuring 183. In 2014-15 and 152 in 2013-14. The former Railway Minister Suresh Prabhu had announced a ‘Mission Zero Accident’ while presenting his last budget of 2016-17 before the rail and general budgets were merged. With a slew of accidents still taking place, it seems to be a distant goal. For the first time in decades, a Railway Board member was sent on leave, having been held responsible for the Utkal Express accident. Former Air India chief Ashwani Lohani has taken charge as the Railway Board Chairman. Mr. Goyal has made it clear that safety will be his top priority. On Thursday, he ordered the elimination of all unmanned level crossings within a year, advancing the deadline by two years. He told officials that the focus should be on replacing tracks prone to accidents instead of laying new lines and asked the Board to expedite the procurement of new tracks on a large scale. He also directed the Board to stop the production of conventional Integral Coach Factory coaches that topple over one another in case of derailments. The Classic IAS Academy is regarded as the IAS Institute in Delhi. The Academy steadily works towards realizing the dreams of both the Hindi and English students to participate in the civil service examination. The Academy also conducts seminars and workshops with the help of experts in order to train the student to think, feel and express like civil servants.